Avia Steiner was born in 1930 in Budapest. Her parents were of Israeli descent and well-known top athletes in Hungary. Aviva discovered the connection between body movements and health from her childhood on. 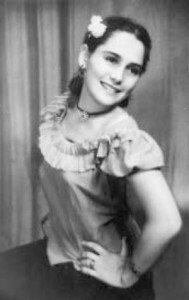 Due to the chaos of war at that time, Aviva was deported to Israel; her parents did not return from concentration camp. She became a ballet dancer and studied with renowned dance instructors. Her whole life was filled with dance and body movement. Later she dedicated her life to healing the sick through specific gymnastics. She noticed in paralysed children that even numb body parts could be reactivated so that they could move again. As a consequence, it is possible to affect entire muscle groups and thus to achieve improvements. Her significant discovery happened by chance. She observed that certain physical exercises could cause menstruation. At the beginning, she could hardly believe that it is possible to intentionally influence menstruation through exercises. However, the same result could be observed over and over again. Women in menopause could regain menstrual bleeding, too. Hence, she continued researching and developed the Aviva method. Over the years, she also discovered the healing effect of the exercises and she could help countless women and men to regain lasting health. 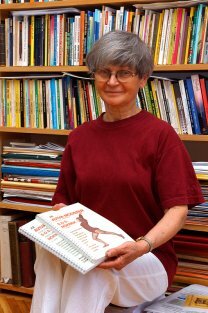 Her student Livia Toth (who lived in Budapest) learned the method from Aviva Steiner and made it well-known in Hungary. She untiringly passed on the knowledge in courses and seminars. She also published two volumes on the Aviva method and thus made this knowledge available to a broad public. The books were published in Hungarian, German and English. Since Livia Toth’s death, her educational work has been continued in many European countries.